A blend of Wintergreen, Camphor, Peppermint, Blue Tansy, German Chamomile, Helichrysum, Osamanthus in Fractionated Coconut oil &/or MCT. When you have a lot of discomfort to muscles and joints, you often will seek a deep penetrating massage oil. 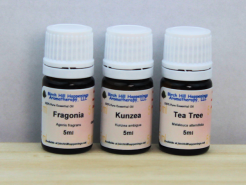 The essential oils in this blend are known to help with analgesia (pain) and inflammation. The relief they provide should last for 3 or more hours before you need to apply more - that is IF you need to apply more. You only need to massage gently for these to begin to work. Provided in 2,4, & 8oz bottles for massage. 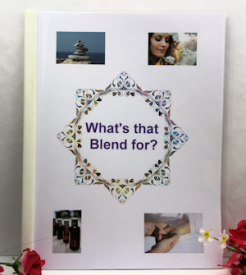 This is a 5% dilution of essential oils in the Massage Blend - 2, 4 and 8 oz bottles. 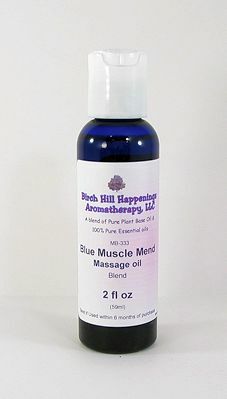 SPECIAL NOTE: There are many Versions of a "Blue Healing Muscle Blends available. Some call them Deep Blue, Deep Blue Healing, Blue Healing and the list goes on. Most all of them have similar essential oils. Here we provide the Deep Blue Oils READY to use. No mixing necessary. Just use as needed. Caution: This Blend contains Methyl Salicylate that occurs naturally in Wintergreen oil. Therefore, please only apply or use for acute or short term applications. Do not use for long term applications. Discontinue use if irritation should occur. It is just as good as " . . . " deep blue soothing blend.